An online study by Ipsos Reid for Sun Life Financial interviewed 1,239 Canadians last month about their financial situation this year. Across the country Albertans were not surprisingly most likely to have improved their financial situation, followed by those in Saskatchewan and Manitoba. People in Quebec were least likely, with 63% saying their financial position was no better than a year ago. “It’s concerning that a majority of Canadians aren’t feeling better off financially than they were last year as we head into a holiday season where we tend to spend more and save less. Canadians can take steps toward feeling better by putting a financial plan in writing and perhaps consider it as a new year’s resolution.” -Sun Life president Kevin Dougherty. It appears that most Canadians need to take their personal finances more seriously 😕 The survey found that only 36% of Canadians contribute to an RRSP, but for those who felt their financial situation had improved, the RRSP participation rate jumps to 50%. Tip of the day: To better your chances of improving your financial situation, buy contribute to RRSPs 🙂 Also, TFSAs are really good too, often better than RRSPs actually. Happy Black Friday. And hello to friends from Victoria. I’ve only visited once but had a great time. Butchart Gardens was my favorite part. New payroll and employment numbers just came out. 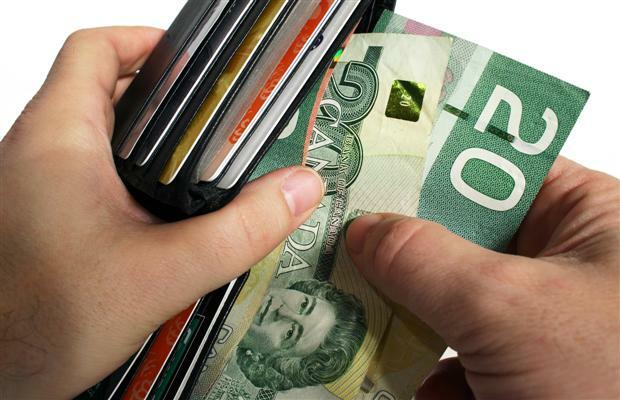 On average Canadians make $873 per week, up 1.1% from last year. While that’s better than no growth at all, the inflation rate has been about 3% so in real terms, we are actually losing purchasing power, despite having a bigger paycheck. Trying to beat inflation with wage hikes is not easy, that’s why we need a hedging strategy, which will match the inflation rate, if not surpass it. But not all jobs are created equal. There will always be opportunity out there for those who know where to look. Wages are based on what companies can afford to pay their employees, so it’s mostly about supply and demand. And when you think about why some industries are strong and others are weak, it should all make sense. You don’t need to study or work harder to get ahead. Just work smarter. Enter a field with less competition. Learn to market yourself. Invest your savings, and you’ll do great.